Zimbabwe is committed to good corporate governance and will ensure that all items donated to Cyclone Idai victims reach their intended beneficiaries with accountability and transparency, a Cabinet Minister has said. Public Service, Labour and Social Welfare Minister Dr Sekai Nzenza was speaking after receiving 80 tonnes of relief material for Cyclone Idai victims from the United Nations High Commissioner for Refugees (UNHCR) yesterday. “It is the aim and objective of the President that everything that is donated to us is delivered through accountability and transparency,” she said. 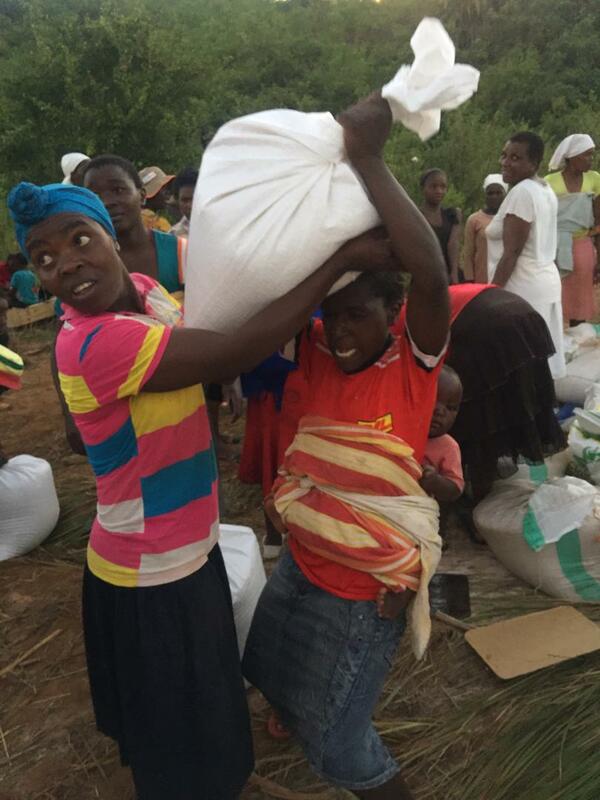 The cyclone affected Chipinge and Chimanimani in Manicaland Province, as well as some parts of Masvingo. The goods were handed over to Dr Nzenza by UNHCR representative in Zimbabwe Mr Robert Tibagwa at Robert Gabriel Mugabe International Airport. The plane load of assorted relief items is the first consignment from the UNHCR to assist 10 000 people affected by Cyclone Idai in Chipinge District. The next consignment from the UNHCR will assist 20 000 victims in Chimanimani District. The United Arab Emirates Royal Highness Princess Haya paid for the plane that brought the goods. “I would also want to thank Her Royal Highness Princess Haya of the United Arab Emirates, her generosity has clearly shown that Zimbabwe has got lots of friends,” said Dr Nzenza. Dr Nzenza said she was touched by the fact that refugees at Tongogara Camp in Middle Sabi were affected and are also being assisted by the UNHCR. Speaking at the handover ceremony, Mr Tibagwa pledged more assistance. “Zimbabwe has really been badly hurt by the cyclone and this is one small way of contribution from the UN family to the people and the Government of Zimbabwe,” he said. “We will do our best to assist even with more, but for now we have 80 tonnes of the supplies including blankets, water jerry cans, mosquito nets, sleeping mats, tents to respond to the difficulties my sisters and brothers are facing. “I would also want to take this opportunity to thank Her Royal Highness Princess Haya of the United Arab Emirates who has paid for the flight bringing the UNHCR supplies to Zimbabwe. United Nations Resident Coordinator in Zimbabwe Mr Bishow Parajuli said as friends of the Government, they stood ready to support and commit to reaching out to the people with various needs. “We are very humbled as part of the UN system to join the Government of Zimbabwe in solidarity and in supporting in various ways to this crisis which has just happened and very unfortunate in Zimbabwe,” he said. Mr Parajuli said they were building a case to appeal for another US$60 million to assist the Government and the people. He said he was happy UNHCR chipped in with the goods and appealed for more international support. Mr Parajuli said next week they will offer US$4 million to complement and support some of the immediate needs. Witnessing the handover of the goods were Local Government, Public Works and National Housing Deputy Minister Jennifer Mhlanga and Zimbabwe National Army Chief of Staff (Quartermaster) Major-General Hlanganani Dube, among other senior officials.